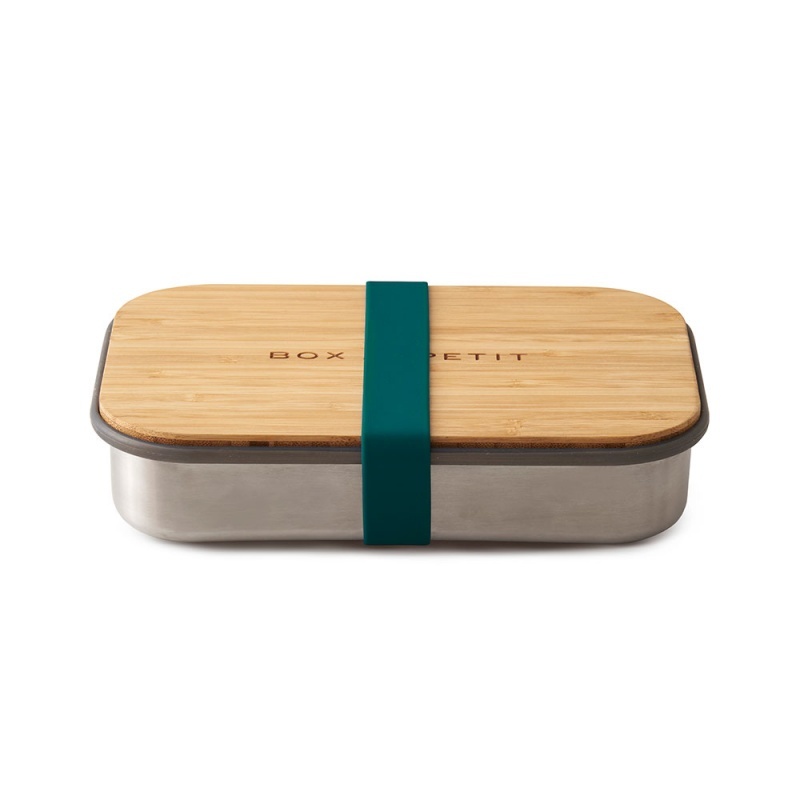 A plastic-free stainless steel and natural bamboo lunch box. 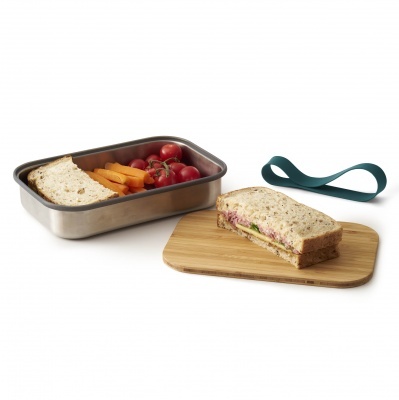 Great for preparing and transporting your sandwiches. The bamboo lid can double as a chopping board or serving board. A plastic-free stainless steel and natural bamboo lunch box. 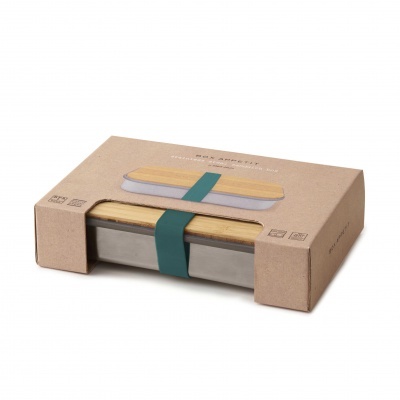 The box is made from quality stainless steel with natural anti-bacterial bamboo lid and silicone strap. Great for preparing and transporting your sandwiches. The bamboo lid can double as a chopping board or serving board. The silicone strap holds your lunch securely in place. The box base has an over-moulded silicone rim that's designed for soft touch between the bamboo and steel making it easy to separate and clean. This container is not leakproof so there could be some leakage if used with very wet foods. Do away with boring lunch containers. Enjoy a plastic and BPA free spin on the modern lunch tin. A timeless classic. Handwash in hot soapy water. Do not leave the board soaking in water and make sure to dry it with a tea towel or kitchen roll after cleaning.